Troy Smith is a registered patent attorney and counsels clients on IP issues with a focus on strategic patent procurement and portfolio management. Mr. Smith has developed patent portfolios, including domestic and foreign patents, for small and large companies, provided patent opinions, and provided litigation analysis. Patent risk management is another area of Mr. Smith’s work. 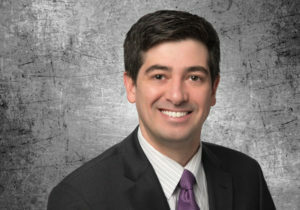 He works with clients to manage risks posted by third party patent rights, including the use of post-grant proceedings, opinions, freedom-to-operate analysis, and third party pre-issuance submissions. Mr. Smith has extensive experience in the areas of computer software and engineering. Prior to becoming an attorney, he worked as a senior software engineer for companies such as Motorola, Shoptalk, and CaseKnowledge. His technical skills include telecommunications, networking protocols, storage systems, computer software and hardware, computer memory, medical devices, and semiconductors.